Joint secretary Gopal Baglay was today appointed the Spokesperson of the Ministry of External Affairs (MEA). Baglay who belongs to the 1994 batch of the Indian Foreign Service (IFS), earlier worked as the Joint Secretary of Pakistan-Afghanistan-Iran. He earlier handled media at the embassy in Kathmandu from 2008 to 2010. He has also served as the Secretary at Embassy of India, Kyiv from 1996 to 1999, to Moscow from 1999 to 2002. In MEA he served as the deputy secretary (Central Europe) and deputy secretary and director (United Nations-Economic & Social) from 2005 to 2008. 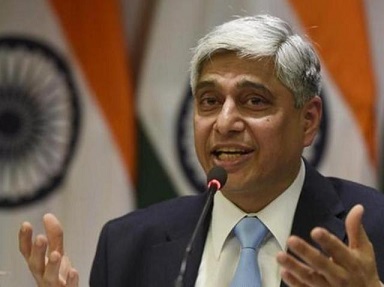 He has replaced the former spokesperson of MEA Vikas Swarup, who was recently appointed as India’s High Commissioner to Canada.